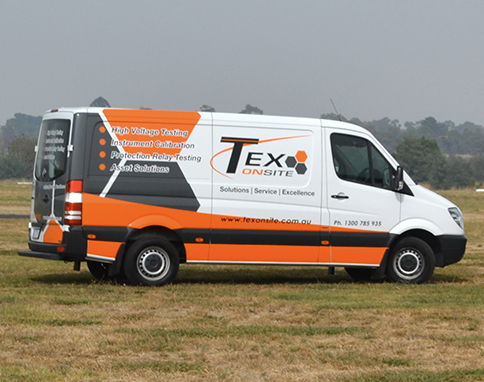 TEX Onsite offer customers the convenience of mobile testing and calibration services through our nationwide road and air network. Our vans and aircraft are equipped with the latest testing and calibration equipment, with the ability to offer laboratory quality treatment, without the cost and hassle of freight and downtime. All on-site work is performed in accordance with the relevant ESAA, ASTM, IEC, ISO and Australian standards.